News broke today that the next Superman movie won't just feature Batman; DC Comics superhero Wonder Woman will also be in the mix, making her first appearance ever in a movie. But it's been a long road to the big screen for the character. Here are the stages of production development involved in bringing Wonder Woman to a movie theater near you. In 2001, producer Joel Silver commissioned screenwriter Todd Alcott to pen a new script based on Wonder Woman, with Warner Bros and Silver Pictures on board to make the would-be film adaptation. Alcott had previously co-written the animated feature film Antz for DreamWorks and had penned the screenplay for the 13 Ghosts remake. According to IGN, there were initial concerns when rumors arose that pop star Mariah Carey wanted to play the title character, but critics and fans alike felt better after Australian actress Lucy Lawless expressed an interest in playing the Amazonian warrior princess. 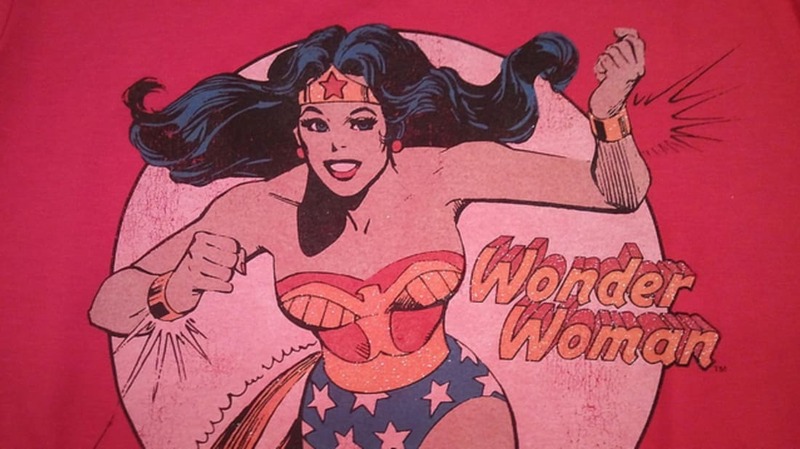 Other Hollywood actresses linked to the Wonder Woman project were Sandra Bullock, Angelina Jolie, Catherine Zeta-Jones, and former-WWE wrestler Chyna. In 2003, Todd Alcott’s first draft of the Wonder Woman screenplay saw revisions, re-writes, and polishes from screenwriters Jon Cohen, Becky Johnson, and Philip Levens. Ultimately, the script fell in the lap of screenwriter Laeta Kalogridis, who was an executive producer on the TV series Birds of Prey, based on the adventures of Batman and Catwoman’s daughter, the Huntress, another DC Comics superhero. In March 2005, Warner Bros and Silver Pictures announced that geek icon Joss Whedon would write and direct the film adaptation of Wonder Woman, which would’ve been Whedon’s next film project after his directorial debut, Serenity. The film would have featured Wonder Woman’s origin story and would’ve included Steve Trevor, Wonder Woman’s primary love interest. But by 2007, Whedon had not produced a completed screenplay and left the project early in the year. Whedon cited differences with the movie studio surrounding early drafts of the script. While Joss Whedon never picked an actress to play Wonder Woman, Whedon-regulars Charisma Carpenter and Morena Baccarin expressed their interests in playing the superhero. A few days before Whedon left the project, Silver acquired a spec script, which set Wonder Woman during World War II, from screenwriters Matthew Jennsion and Bret Strickland. While Silver was impressed with Jennsion and Strickland’s work, he had no intentions of turning their screenplay into a movie. Silver only purchased their spec script to take it off the market. In April 2008, Silver hired Matthew Jennsion and Bret Strickland to write a new Wonder Woman screenplay set in modern times. The new story ditched Wonder Woman's origin and explored her home Paradise Island, also known as Themyscira. In 2010, after 10 years of trying to bring Wonder Woman to the big screen, Silver lost the character’s film rights to DC Comics Entertainment. Warner Bros also announced that they would develop the comic book superhero for television and film. In 2010, Warner Bros Television partnered up with TV producer David E. Kelly to pitch Wonder Woman as the center of a new TV show. At first, NBC passed on the pitch, but eventually ordered a pilot episode in January 2011. The new TV series would re-invent the Wonder Woman character as Diana Prince, a corporate executive in Los Angeles by day, but a vigilante crime fighter by night. Friday Night Lights actress Adrianne Palicki was cast as Wonder Woman, while Tracue Thoms played Diana’s personal assistant, Etta Candy, and Elizabeth Hurley played the series villain Veronica Cade. In May 2011, NBC announced that it would not produce a Wonder Woman series. In 2011, Danish director Nicolas Winding Refn expressed his interest in making a Wonder Woman movie with his Drive star Christina Hendricks in the lead role. While it’s not likely that Winding-Refn’s version of Wonder Woman would have ever gotten made, the Danish director and Mad Men star were quite candid about the would-be project during the Drive press tour in 2011. In 2012, The CW, Warner Bros Television, and DC Comics Entertainment announced that they were developing a script for a new TV series called Amazon, which would follow Wonder Woman’s origins. While Scottish actress Amy Manson was considered a frontrunner for the lead role of the Amazonian princess, script problems delayed the TV pilot’s production from 2013 to 2014. In July 2013, The CW confirmed a new TV series based on another DC Comics superhero, The Flash, but ultimately put Amazon on hold until a good script emerged. The CW President Mark Pedowitz said, "with an iconic character like Wonder Woman, we have to get it right." In 2013, director Paul Feig expressed an interest in making a Wonder Woman action-comedy for Warner Bros and DC Comics Entertainment. Nothing came of it, though. In 2013, DC Comics Entertainment President Diane Nelson and Warner Bros President Greg Silverman hinted that Wonder Woman could make a cameo appearance in the Man of Steel sequel. Later, in December, Israeli actress and former supermodel Gal Gadot was cast to play Wonder Woman in Man of Steel 2, alongside Henry Cavill as Superman and Ben Affleck as Batman. Primary image courtesy of Flickr user Eva Fannon.